do you use the marvel app or buy them straight from itunes? I've taken over miki's Ipad and have downloaded all of the free ones I can get but i refuse to pay for apple things since i'm cheap and haven't learned how to yet. But being in a new city myself I'm not very accustomed to knowing where the good comic shop is. I agree with your points. What would rock would be a code that allowed you to dl anything you bought paper. maybe printed on the receipt or something. 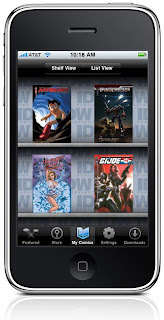 Dan-o, I use the Comixology Apps (this includes their main app, the Marvel app and the DC app). If you ever have a prob with their apps just go to the send feed back button at the bottom of the main app page and send them a quick note. They usually get back to you super quick. 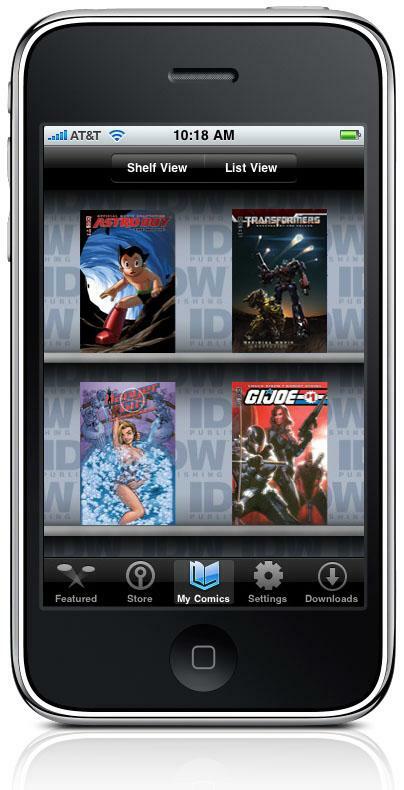 Budd, I've like the idea of maybe being able to donate old comic books for store credit through the app. Like if the donation service gave you a code which could be individualized and entered into the app. Maybe like a dollar a book...something like that.